So, what makes a Super Heart so super? According to the announcement, Super Hearts are "larger, animated and more fun to give." Yeah, that sounds like a completely reasonable statement. You can send Super Hearts to a streamer only when they are live, and doing so puts you on a leaderboard, which apparently tracks who has the most disposable income to spend on virtual heart icons. 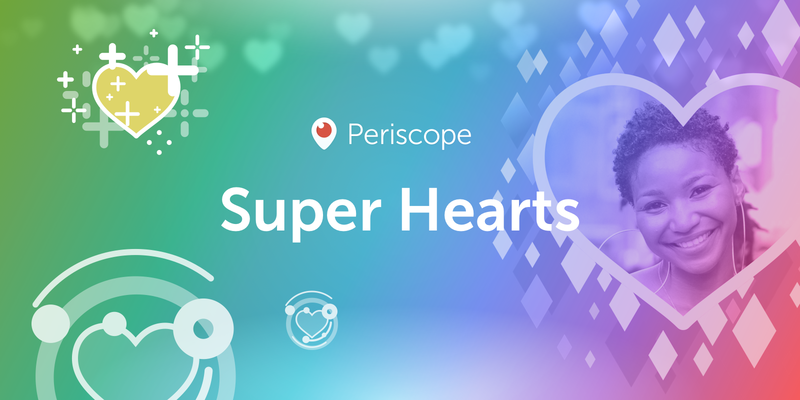 To buy Super Hearts, you first have to purchase Periscope Coins with real money. They range in price from $0.99 for 1,050 to $99.99 for 132,650. Different types of Super Hearts cost different amounts. For example, the glittery hearts with your profile image cost 111 coins each. The basic glittery Super Hearts cost 33 coins. The Super Hearts are tracked on the streamers profile as stars, for some reason. Streamers invited to the new Super Broadcaster program can exchange the stars for cash. Super Hearts launch today in the app. So... have fun, I guess?